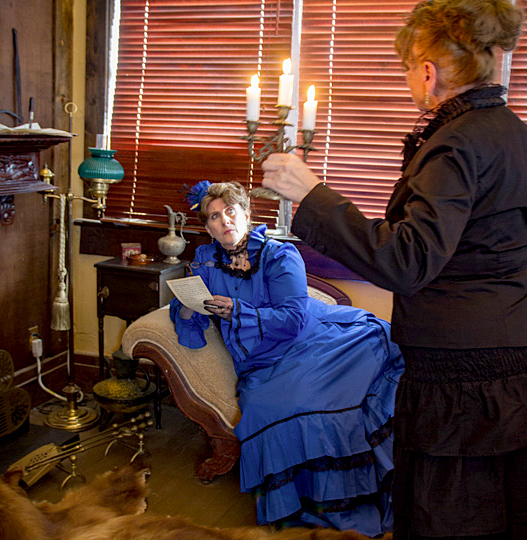 Stroll in a Victorian square and experience eight unique shoppes straight from the pages of the Sherlock Holmes stories. The shoppes are open 10:00 am – 4:00 pm, Friday, Saturday and Sunday. 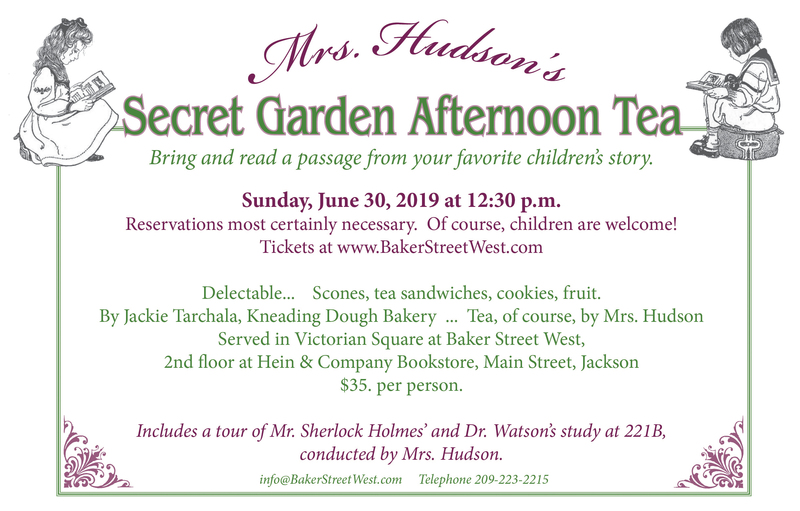 Mrs. Hudson’s pride is placed in a good tea. 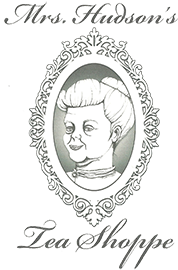 In her shoppe, she sells quality English tea, tea accessories, and vintage china. Dr. Watson offers herbs and herbal preparations from his apothecary. If you are fortunate enough to find him in residence, he may even grant you a medical consultation. Irene Adler has set up shop at Baker Street West. Her merchandise includes Victorian attire, accessories, millinery, as well as steam punk fashions. Stewart’s Scientifics honors our first carpenter at Baker Street West, Noel Stewart. In this shop you find scientific antiques, bygone oddities, and steam punk art. South Downs Apiary may be Mr. Holmes’ most revered shop. Swarming with all things relating to bees, including honey, candles, soap, and jewelry. 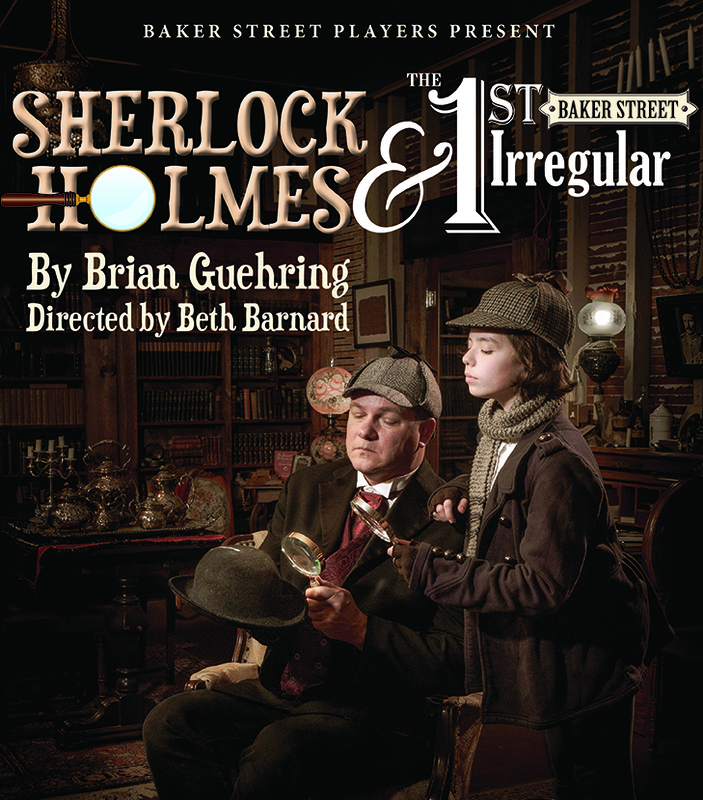 The Baker Street Irregulars counted on every shilling Mr. Holmes would grant. Perhaps if they could, they would spend theirs in a shop like this full of antique toys, vintage novelties, and reproduction games. The Deerstalker, designed to evoke the Devonshire moors, awakens something wild within us and taunts us with its Sherlockian inventory – books, handmade keepsakes, prints, and other collectibles are suitable for any lover of Sherlock Holmes. “What ya havin’ Mate?” “Do you fancy a beer?” Of course! Let’s imbibe at the Wolf & Bear Pub, the social center of Baker Street West. The pub is event-ready and has already seen many elbows lifting spirits at private parties and the like. Browse the shelves of antique bar ware and logo pilsners; all make great gifts.